Professional LED Tape Lighting Kit - 16.4 Ft. | BUDK.com - Knives & Swords At The Lowest Prices! 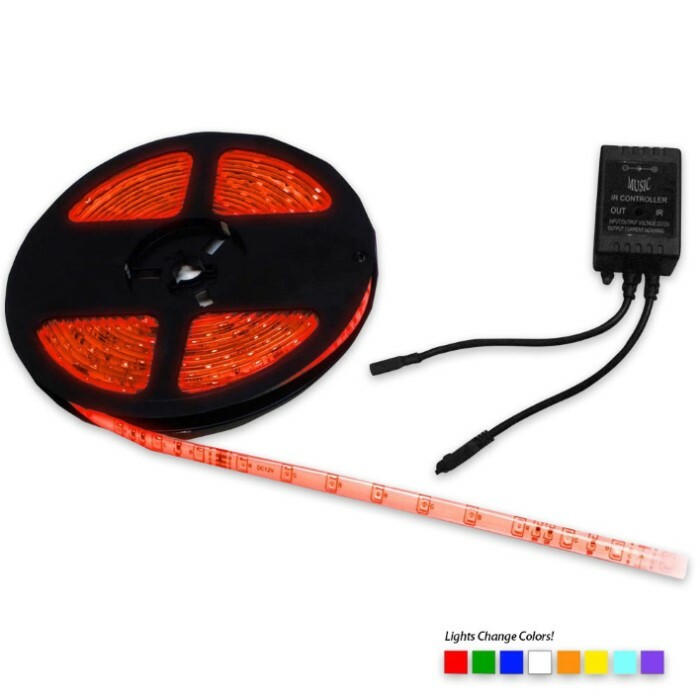 Professional LED Tape Lighting Kit - 16.4 Ft. 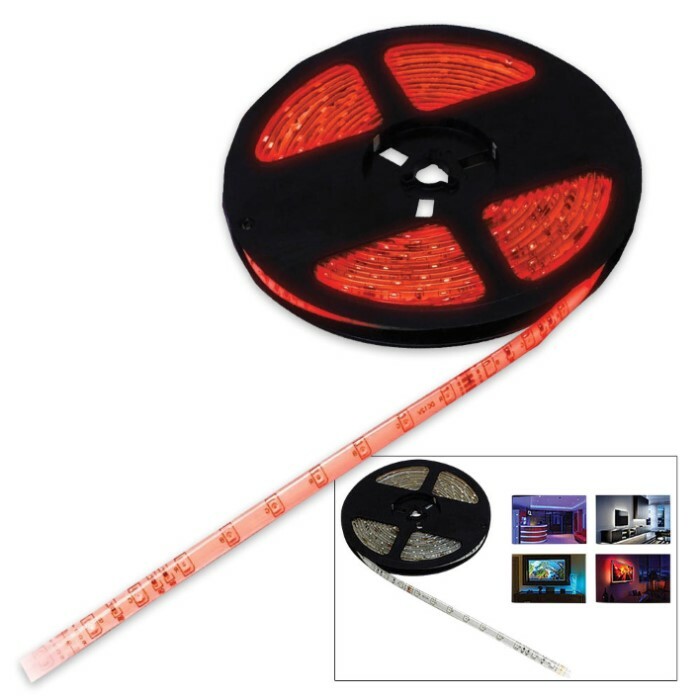 The Professional LED Tape Lighting Kit is a 16.4 foot long LED powered effects and mood lighting cord. It lights up in red, green, blue, orange, yellow, cyan and purple colors. It features a Sound-Active Mode where built-in receptors sense audio and cycle through colors in response to the music. The Auto-Mode allows you to pre-program the color settings for mood lighting in your home or business. It can be cut every three LED's at marked intervals for custom décor and the high-strength, corrosion resistant silicone covering is waterproof rated. 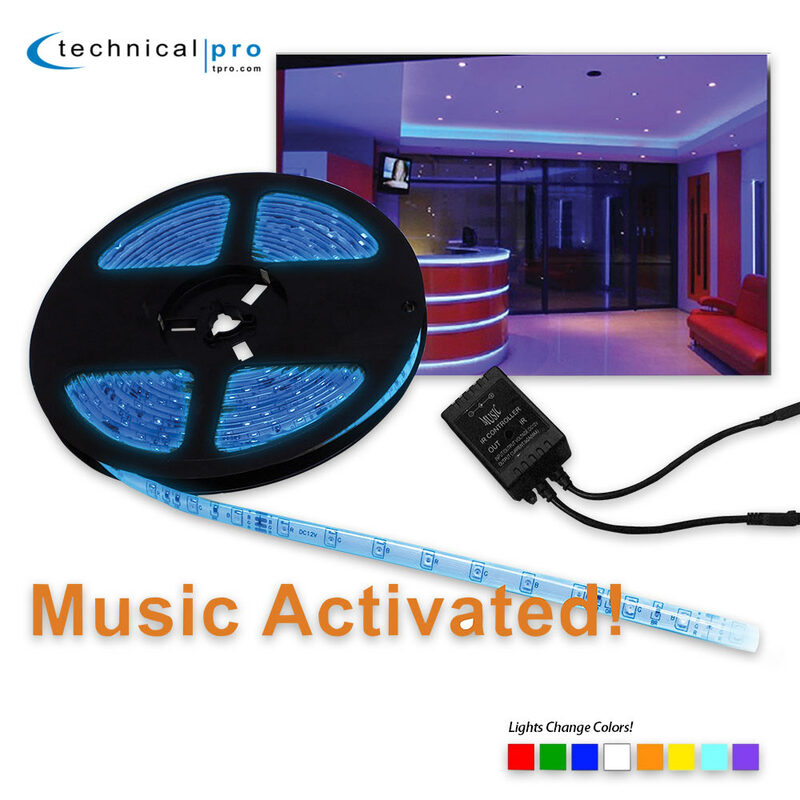 You can add this lighting tape to your deck by your pool for outdoor events and barbecues. It has four different sound activated modes, fade and jump sequences to go along with your music ambiance. It also comes with brightness controls and a remote.